KRAV MAGA VANCOUVER | Be Your Own Body Guard! Ladies Be Your Own Body Guard! 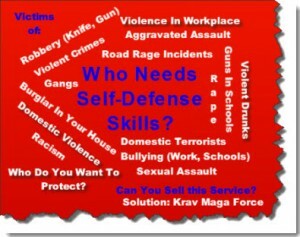 Who Needs Self Defense - You Do! Do You Want To Be Your Own Bodyguard? Do You want To Be Able To Protect Your Family & Friends? Please check out the Menu Options above to aid you in your search for great self-defense training in Vancouver; pay particular attention to the Programs option. We specialize in teaching instructor level courses Worldwide; check out our main website at: http://www.kravmagaforce.com/ Here in Vancouver we have 8 Certified Instructors and our Chief Instructor LAURIAN LAPADATU teaching non-instructor classes. For on-going classes, private lessons, group private lessons or private seminars please email us at info@KravMagaForce. Below you will read some feed back we got from some experienced martial artists who we taught in our Krav Maga Force Instructors Courses. These marital arts rock stars deployed our program into their martial arts schools. If you want to read more testimonials we have click the Reviews option from the main menu above. My name is Stephen Hammersley owner and 8th degree Master Instructor of American Martial Arts the Chuck Norris System of martial arts training in New Smyrna Beach FL. 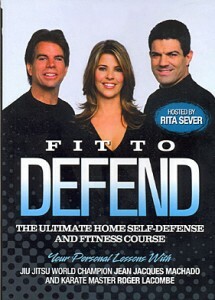 A must take course for any martial artist or person wanting to know self-defense! .When Laurian came to my studio in So.Cal. to teach us his Krav Maga Force (KMF) certification course, I had no idea what to expect. I came away having one of the greatest experience ever. He is an amazing instructor with a world of knowledge. His vast martial arts background certainly helped and added to this KMF program.